Note from me: I published this recipe back in June as part of my submission for the 2014 Cheesecake of the Year contest. Alas, I didn’t win. 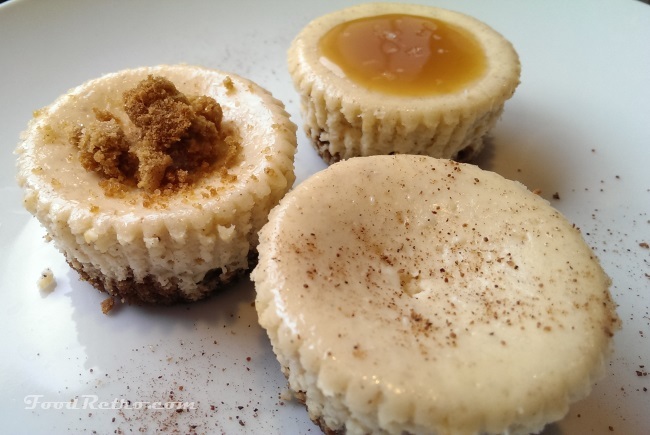 But I slaved over this recipe, filling every guinea pig I could get my hands on to the gills with eggnog cheesecakes as I perfected these cheesecakes. The recipe rocks, and with them being little minis, they bake fast, and cracks are not something you need to worry about. PERFECT FOR CHRISTMAS AND OR NEW YEAR. Hence the republish. You’re probably thinking I’ve spent too much time in the sun with a clearly festive recipe but you may want to start humming Christmas carols with me, too. I was planning on sitting on this treat until the Christmas season, but Kraft has a sweet (literally!) contest going on where you have a chance to win glory and $5,000 as part of the 2014 Philadelphia Cheesecake of the Year. Wait! Stay here with me. I’ve got details on it below. As far as I’m concerned, nothing screams Christmas like Eggnog and Gingersnap cookies. That said, neither one really fits the bill for a high-class dessert that will make you shine like the god/goddess you are when it comes to holiday treats in the back room at work (this may vary depending on how much rum you plan to spike the eggnog with at the office party). A lot of people don’t like baking with eggnog. You gotta buy a whole box, and unless you like the taste of store-bought eggnog (few do; can’t imagine why nobody likes a product which contains no actual eggs), you use a little and pour the rest down the drain. You’re here ‘cause you like real food and calories are something to worry about after New Year’s Eve. This has got the real rum, real cream cheese, real cream, AND real eggnog. 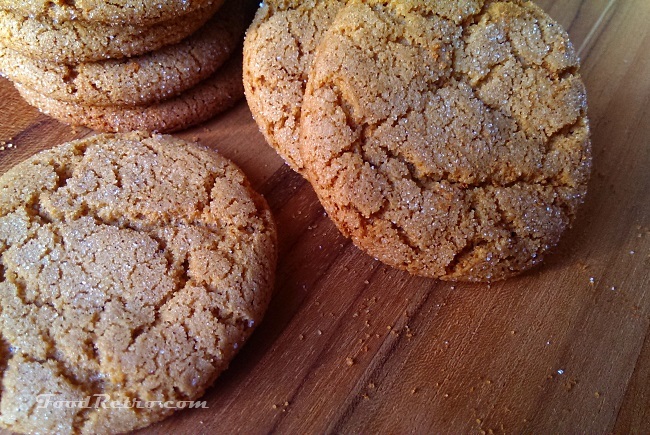 Real gingersnaps are optional, but hey! You gotta do some cookie baking anyway, right? Don’t look intimidated. I have made it super easy to make REAL eggnog cheesecake. It doesn’t take any extra time. There’s no raw eggs in the final product. There’s no careful heating of milk or yolk on the stove. You don’t even have to pre-mix your eggnog deliciousness. Everything goes right in as part of the ingredients. 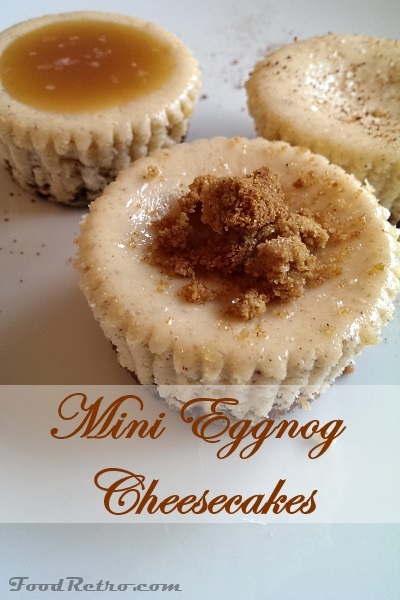 You can enjoy this awesome Eggnog Cheesecake at any time. Even in June. You will look like a culinary rock star because you can do a variety of toppings and offer them up family-style on a pretty plate. Great topping options include salted caramel, candied pecans, crumbles of gingersnap cookies, or a dollop of raspberry jam. And gingersnaps give it a real kick in the can. 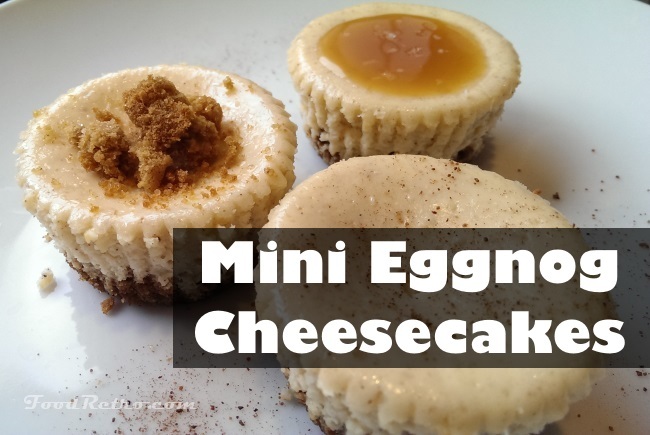 Best of all, when you make minis, they bake in 30 minutes or less, as opposed to an hour for a full 9″ cheesecake. If you’re wondering, this recipe can upgrade straight to a 9” pan, (and actually must for eligibility in the contest) but it will only have a bottom crust. Ironically, however, while you can serve these up after a couple of hours chill time, I’d give these babies a full day to rest (if you can resist). If you’ve ever made real eggnog, then you know why! That full-bodied creamy nutmeg-and-rum flavour gets better with a little age… and so will these cheesecakes! These decadent four-bite cheesecakes have the bite of gingersnap in the crust and the richness of real eggnog--without the fuss of having to cook it or worry about uncooked eggs! Having all ingredients at or near room temperature will aid in making a smoother cheesecake. If you don't have a stand mixer, you can also use a food processor. Step 1. Preheat your oven to 325F. Line 18 places in standard-sized muffin tin(s) with parchment cups. Soften your cream cheese by removing it from the wrapping, laying flat on a plate, and microwaving it for 30 seconds (15 seconds per brick). Also warm the half and half to room temperature by giving it about 20 seconds in the microwave. Step 2. In a small bowl, mix the ginger-snap crumbs, 2 tablespoons of sugar, and melted butter. Stir until the crumbs are coated with butter. Drop a heaping spoonful of crumbs in the bottom of each cup, and press them firmly into the bottom. Step 3. In the bowl of stand mixer with a beater attachment, cream the sugar and cream cheese together until smooth, scraping down the sides of the bowl and any lumps clinging to the beater. While the mixer is running on low, add the remaining ingredients one at a time, beginning with the flour and the eggs, half and half, rum, vanilla extract, nutmeg and cinnamon. Step 4. Check your batter; it should be smooth and liquid. If you discover lumps, switch to the whisk attachment and beat at high speed for 30 seconds to one minute. Pour batter into prepared cups till almost full. Step 5. Bake at 325F for 25-30 minutes, or until center is just set. 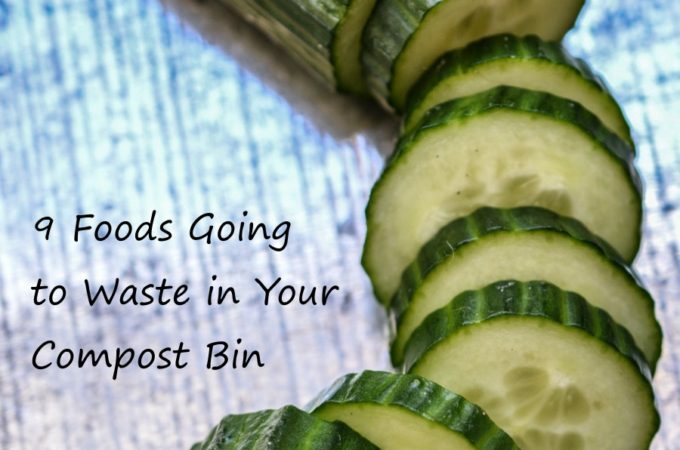 Remove them from the oven, cool completely, and refrigerate for a minimum of 2 hours before decorating and serving. Like real eggnog, they're better the second day--if you can wait that long! Do you have the chops to win Philadelphia Cheesecake of the Year? You may be the lucky one to fly round-trip to Toronto as part of five finalists going head-to-head in a bake-off at the Kraft Kitchens. 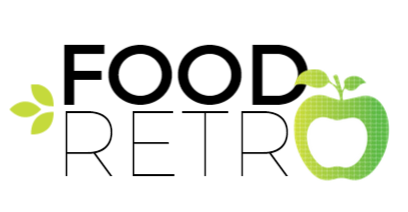 The grand prize winner will get a sweet prize of $5,000, the title of the 2014 Cheesecake of the Year, and will be featured in a December, 2014 publication–hence the Christmas spirit in June. 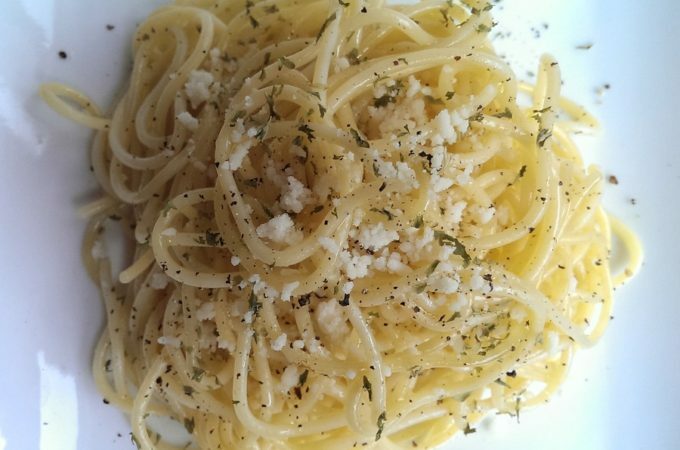 All you have to do is submit your recipe made with Philadelphia brick cream cheese and a photo showing how AH-MAY-ZING it turned out. The Philadelphia Cheesecake of the Year contest runs until 6pm on June 16, 2014, so hurry and get your entries in! First 250 eligible entrants will receive a complimentary brick of Philadelphia Cream Cheese with which to make cheesecake deliciousness! This post was brought to you by Kraft Canada via sheblogs. 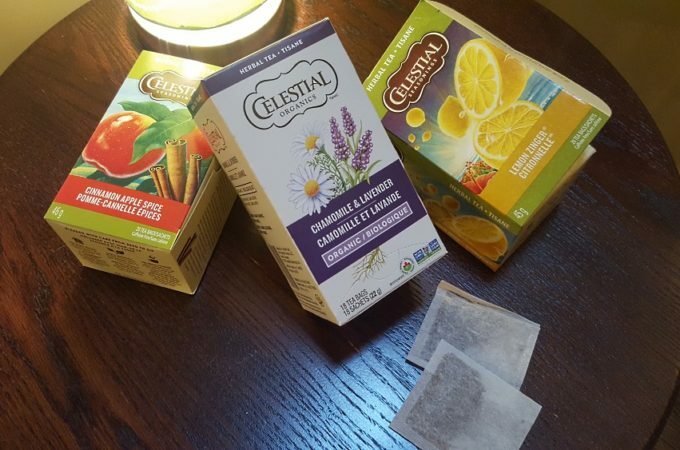 The opinions expressed herein are those of the author and are not indicative of the opinions or positions of Kraft Canada. To see the full contest details, rules and conditions, please visit the Philly Canada website. Those look great! And I can make them gluten free. Whoot!! Wow. When you knock it out of the park you really knock it out of the park! Sooo good. Want with coffee! I think this one is chosen by judges! Did the seriously taste like eggnog AND cheesecake mixed together? I mean, I suppose it would, given the title. But wow. Yum. I need some of that.